to go that extra step for each and every customer they serve and you can help to honor them. 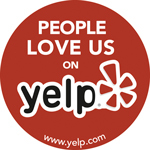 please write a review recognizing one of our Team members by name. Each time your TEAM MEMBER will collect points in our HATS OFF CONTEST. collects the most points by December 31, they will win a Florida Vacation in 2015!